Drivers of sports sedans or coupes will find the Michelin Energy MXV4 S8 tires the perfect All-Season Grand Touring tire. With the Energy MXV4 S8 drivers will be selecting a tire that meets all of Michelin’s Green X standards which is low-rolling resistance and incredible fuel efficiency. 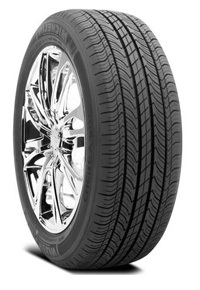 Michelin developed the Energy tires to include good looks, unrivaled handing and low noise combined with a smooth ride. The Energy MXV4 S8 tire include a unique symmetric independent block tread feature that enhances traction during unpleasant weather. This feature ensures that the tires are safe and sturdy even during the worst winter storms. The Michelin Energy MXV4 S8 tires are designed to enhance a vehicle look while continuing to ensure passenger safety and comfort.